Morningstar Christian Chapel Inductive Bible Studies are designed to help believers go through the Bible and discover the rich Truths of God's Word for themselves. Paul told Timothy to be a student of the Word (2 Timothy 2:15) and Peter encouraged us to have an answer for every man who asks for the hope that lies within us (1 Peter 3:15). 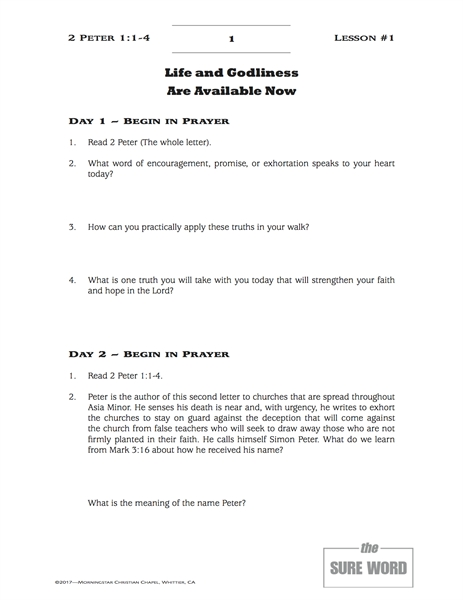 By breaking up each study into 6 days of work and learning, with challenging questions and applications, the inductive study method will have you gleaning much from the awesome Word of God which never goes out void (Isaiah 55:11). 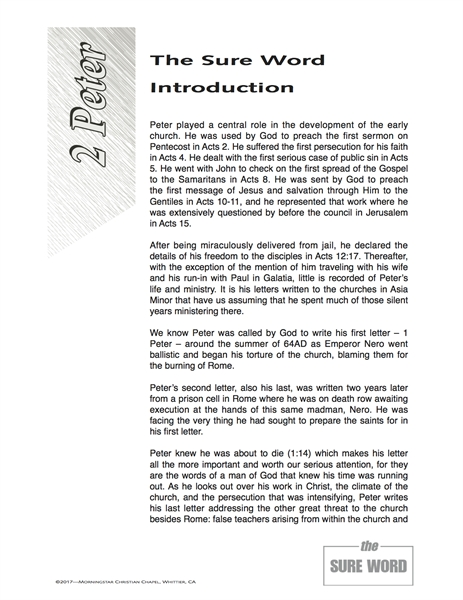 Peter played a central role in the development of the early church. He was used by God to preach the first sermon on Pentecost in Acts 2. He suffered the first persecution for his faith in Acts 4. He dealt with the first serious case of public sin in Acts 5. He went with John to check on the first spread of the Gospel to the Samaritans in Acts 8. He was sent by God to preach the first message of Jesus and salvation through Him to the Gentiles in Acts 10-11, and he represented that work where he was extensively questioned by before the council in Jerusalem in Acts 15. We know Peter was called by God to write his first letter – 1 Peter – around the summer of 64AD as Emperor Nero went ballistic and began his torture of the church, blaming them for the burning of Rome. Peter’s second letter, also his last, was written two years later from a prison cell in Rome where he was on death row awaiting execution at the hands of this same madman, Nero. He was facing the very thing he had sought to prepare the saints for in his first letter. Peter knew he was about to die (1:14) which makes his letter all the more important and worth our serious attention, for they are the words of a man of God that knew his time was running out. 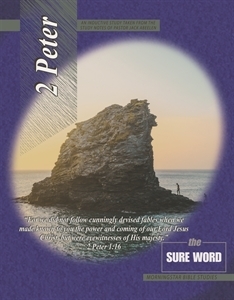 As he looks out over his work in Christ, the climate of the church, and the persecution that was intensifying, Peter writes his last letter addressing the other great threat to the church besides Rome: false teachers arising from within the church and from outside attempting to lead the body astray. In light of the days in which we live, on the brink of the Lord’s return, we face the same challenges the church was facing in Peter’s day: a groundswell of attacks and resistance, and the proliferation of false teachers preying on the souls of men. This short letter is still an excellent guide to keep us from falling prey and going astray.